Embotec recently unveiled a new keyboard technology known as Magnetic Levitation Keyboard in Korea market that utilizes magnetic to keep the buttons ‘floating’ on the keyboard. The new concept is based on basic physics principal of magnetic force between two pieces of magnet with same poles that tends to repulse each other and thus creates ‘floating’ buttons on top of magnetic-based keyboard. Some may curious on how is the feeling when typing on the levitation keyboard. If you have ever traveling on Magnetic Levitation train before, then you may able to imagine how your finger would swing when ‘riding’ on it. 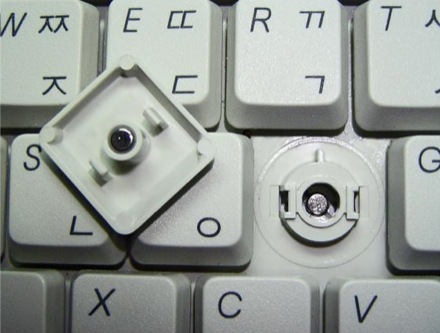 The typing speed could be faster and more comfort with less impact as compared to traditional keyboard that depends on mechanical contacts such as spring or rubber. Besides, the electromagnetic force is said to be dynamic (you feel the force from different directions) when your multiple fingers are typing simultaneously. The new technology keyboard will be released by end of the year. Some may think that it should be placed some distanace away from magnetic source or come with a Cautious note that asks the user to be aware when using it. Anyway, I can’t wait to have a real experience on it as soon as it is available.